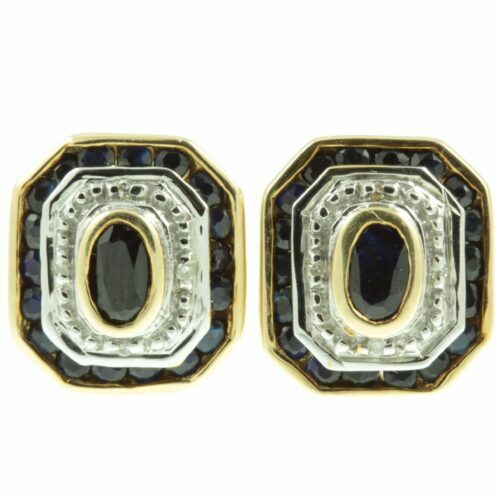 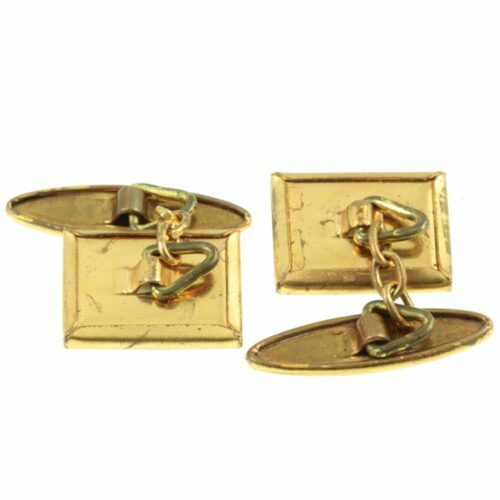 A pair of intricate Art deco cufflinks. 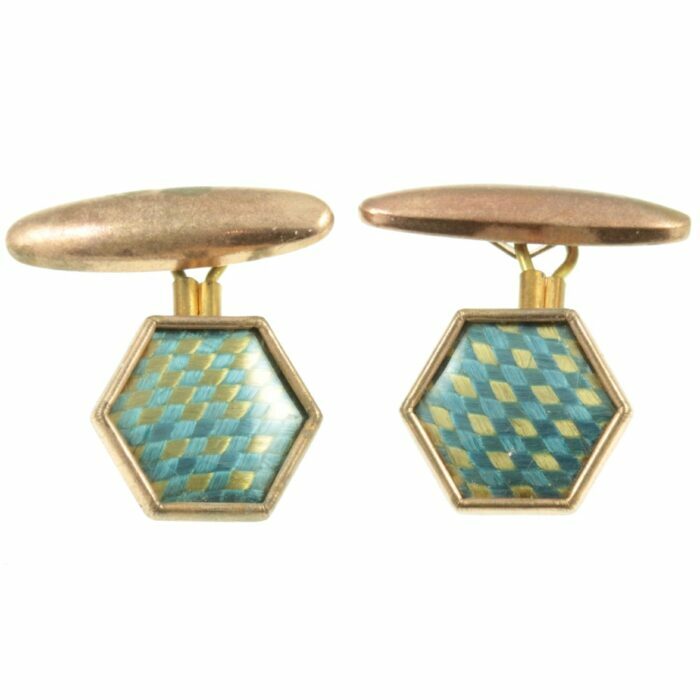 A diamond pattern made from blue and gold silk thread is set in a hexagonal bronze mount. 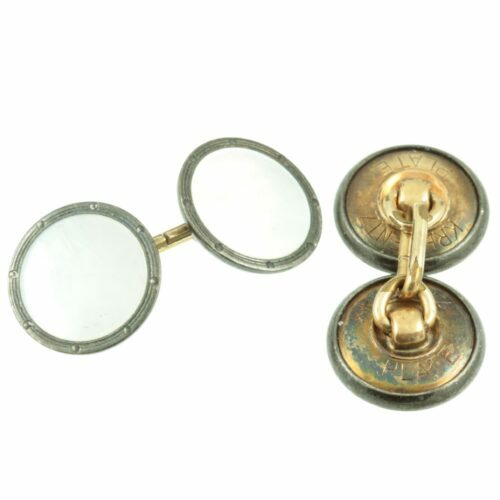 Which was then sealed in place with lucite. 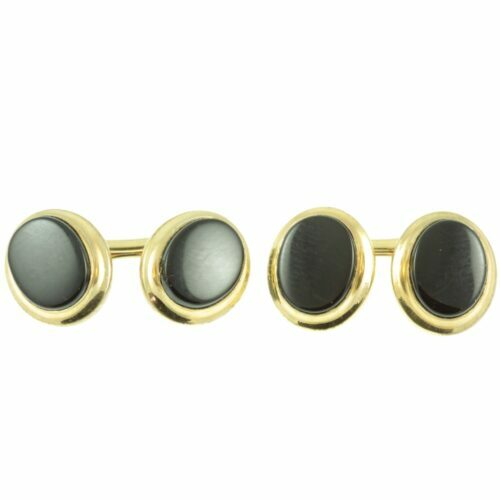 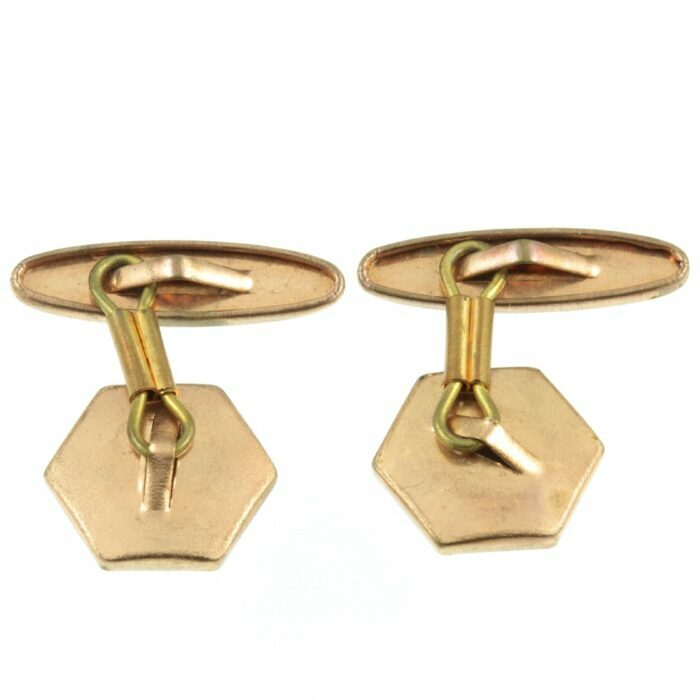 These cufflinks are connected to torpedo toggles with a bar fetter link. 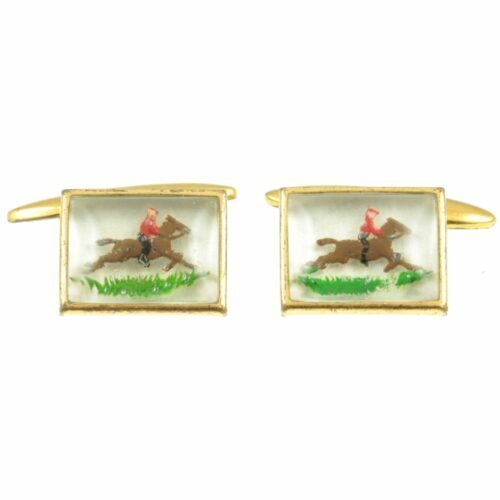 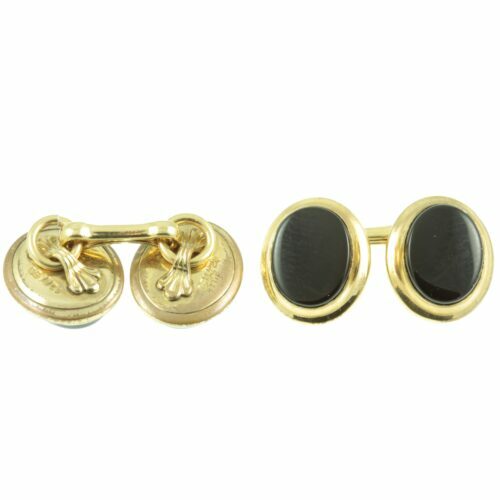 A distinctive pair of cufflinks. Size: 14mm in diameter, weight: 1.9g each.